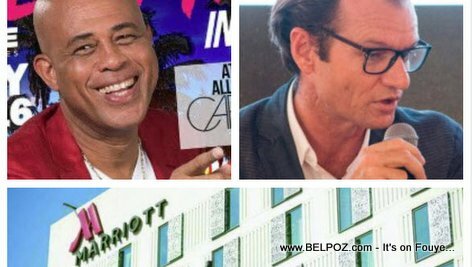 Digicel CEO Maarten Boute has asked for former Haitian president Michel martelly to retract the comments he made that the PetroCaribe money he stole was invested into the Marriott Hotel. "We all know the humor, sometimes unfortunate, that our former president makes sometimes. We heard the comments he made at Infrasa earlier this year but we left them as humor until now. The CEO says due to change in the situation in Haiti and the recent threats the hotel has been receiving, he tought it was the right time to release a note to clarify things. "We are also going to ask ex president Michel Martelly to clarify himself that what he said was just humor and far from the truth," Marteen Boute said. "We all know what Sweet Micky can say in a carnival an other events. Now that he is also an ex president, I think the ex president needs to realize that his comments has more weight now," he said. What if he does not retrack his comments? The journalist asks. "If this is not done and it continues, we will go to court to demand reparations, to ask there there be a public appology."